The ultra powerful enviro-lobby has a big problem: So far, it hasn’t been able to convince the Congress to enact energy-rationing policies to fight “global warming” (I am using quotation marks because it hasn’t warmed in 7 years, despite a steady increase in global greenhouse gas emissions). Last year, a bi-partisan group of Senators spurned a cap-and-trade scheme written by California Senator Barbara Boxer’s staff because they couldn’t countenance imposing higher energy costs on their constituents at a time when gas cost $4/gallon. Given current economic woes, a cap-and-trade energy rationing scheme is even more unlikely to make it through the Congress. Faced with this political and economic reality, the eviros have adopted a new strategy. They want to pull an end run around Congress by having the executive branch regulate green house gases without a legislative mandate. It’s a complicated process, but here’s the gist: They are trying to get the Environmental Protection Agency to find that greenhouse gas emissions are “pollutants” that “endanger” public welfare, a ruling that automatically results in regulation under the Clean Air Act. This is not a good thing. As noted by my colleague Marlo Lewis, if the EPA were to regulate greenhouse gases under the Clean Air Act, it would result in a regulatory nightmare. The EPA simply could declare that greenhouse gases endanger public welfare, but there are also a number of circuitous pathways by which the green lobby could force the EPA’s hand. In today’s DC Examiner, former CEI Warren Brooks Fellow Jeremy Lott and I have an opinion piece that explains one such round-about route to a regulatory nightmare-the California tailpipe emissions waiver. 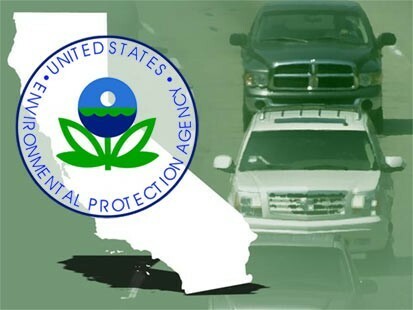 If the EPA allows California to regulate greenhouse gases from automobiles, it will tacitly acknowledge that greenhouse gases are “pollutants” — and under the Clean Air Act anything considered a pollutant is automatically subject to regulation. Environmental groups will be sure to have their lawyers sue the EPA to make this explicit. Once greenhouse gases are classified as a “pollutant,” big construction projects (power plants, high schools, apartment buildings, hospitals) will be delayed and perhaps halted while federal regulators try to decide whether they comply with the Clean Air Act. New construction jobs? Forget about it. Before the EPA takes this drastic step, shouldn’t our nation’s representatives in Congress debate and vote on whether to substitute this California regulation for federal law? Environmentalists don’t think so. Rather than have Congress deliberate, the environmental groups want the courts to decide. The Environmental Defense Fund (EDF) and other well-funded, litigation-happy green groups think the California waiver is a dream come true. Next post: Will carbon market woes tilt U.S. pols towards carbon taxes, CAA regulation?